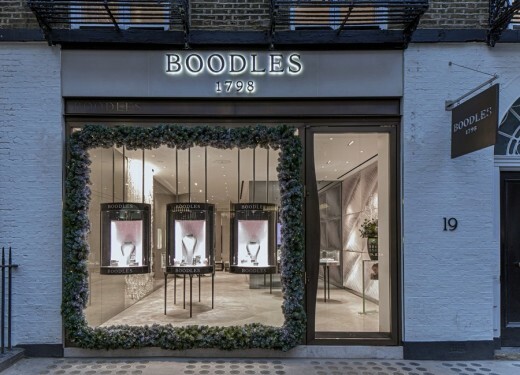 Eva Jiricna Architects have completed a new flagship store for the 200 year old heritage jewellery brand Boodles, in the heart of the Mayfair conservation area. Eva Jiricna was awarded the Jane Drew Prize last week. she has also recently been elected for Honorary Membership of the A.A. in London. ‘Incredibly influential … extraordinary architect’ awarded lifetime achievement by jury including world-famous architects Zaha Hadid and Rafael Viñoly. Eva Jiřičná was awarded the 2013 Jane Drew Prize for her outstanding contribution to the status of women in architecture. The jury was unanimous in its decision to award Jiřičná the prize, describing her work as ‘incredibly influential’. The AJ Women in Architecture awards ceremony, where Eva Jiricna will be present to receive her award, will take place on 22 Mar 2013 at the Langham Hotel in London. Eva Jiricna has been made the recipient of a prestigious award for her lifelong contribution to architecture, from the Czech Ministry of Culture. This is the first time there has been an architectural award along with those which are made annually from selected nominations for theatre, literature and music. EJAL won the competition organised by the V+A to design the new Gallery that would house 3,500 pieces of Jewellery from the Museum’s exquisite collection. The concept of the new Gallery comprises of a two level arrangement. The upper level is situated in the middle of the space and it is connected to the lower level via a circular glass staircase. The internal envelope is designed as a continuous ‘tube’ inserted freely into the fabric of the existing building envelope. The zone between the two elements – the internal skin and the masonry – is used to accommodate all the services and built-in display cabinets. The jewellery is exhibited in a continuous chronological display. Due to increasing student numbers and the changing face of information technology, the university became aware of a need to extend the existing library, which was originally built in 1976. After a feasibility study had been carried out, planning approval was gained in June 1994 following the development of a scheme in consultation with the University, librarians and student bodies. The design attempts to provide clean, light, flexible space in terms of layout, and for the future incorporation of changing technology, and to re-define external public spaces within the library precinct. 1939 Eva Jiřičná is born in Zlin, Czechoslovakia. 1982 establishes Jiřičná Kerr Associates with Kathy Kerr. The practice later became Eva Jiřičná Architects. 1998 Eva Jiricna completed the Canada Water bus station, London.